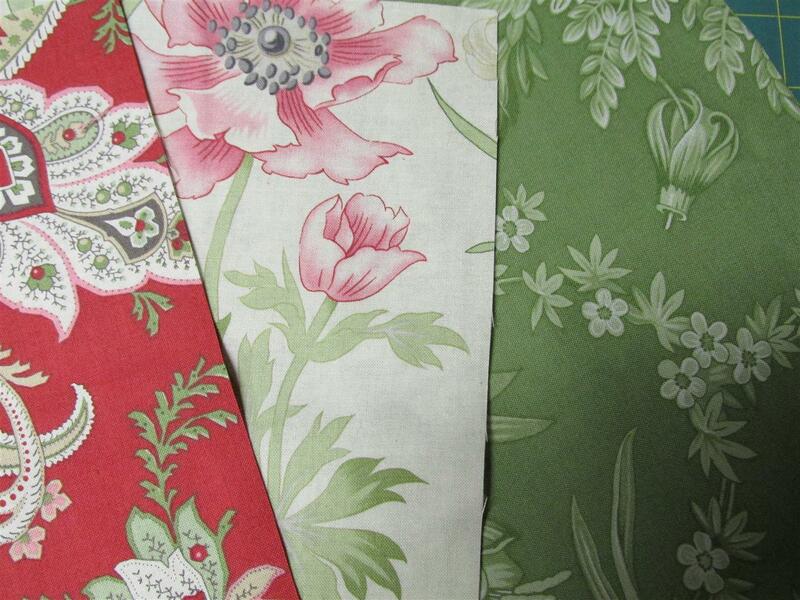 I had these 3 fabrics in my stash. Although not my usual style, I thought they were so elegant and pretty that I had to cut them up! 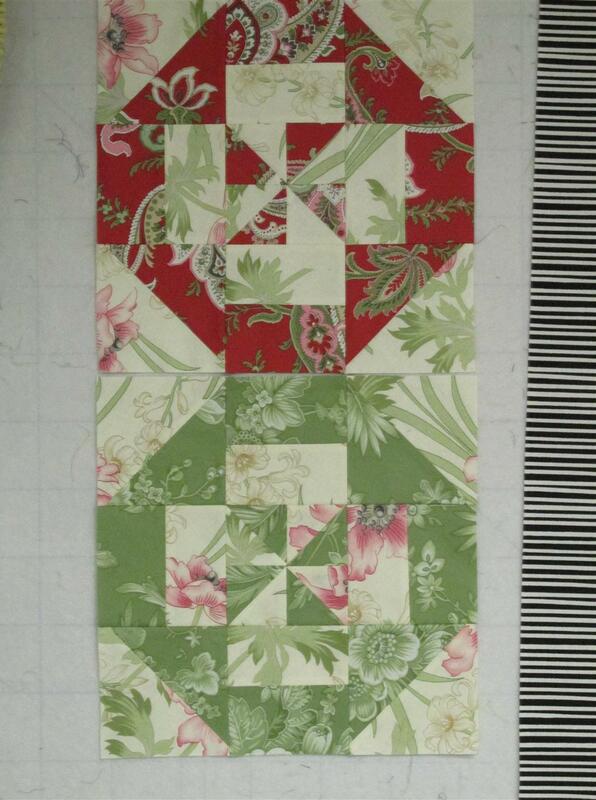 I chose a split pinwheel block. Looks like a lot of cutting and sewing, but really isn’t. 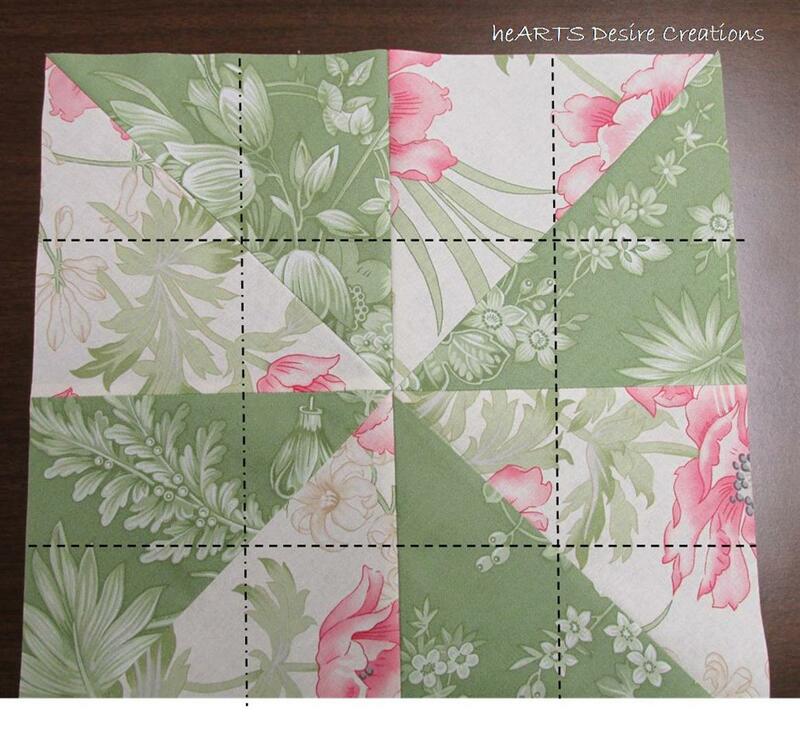 (Live tutorial is on the Missouri Quilt Co site) First, cut fabrics into 10 inch squares. 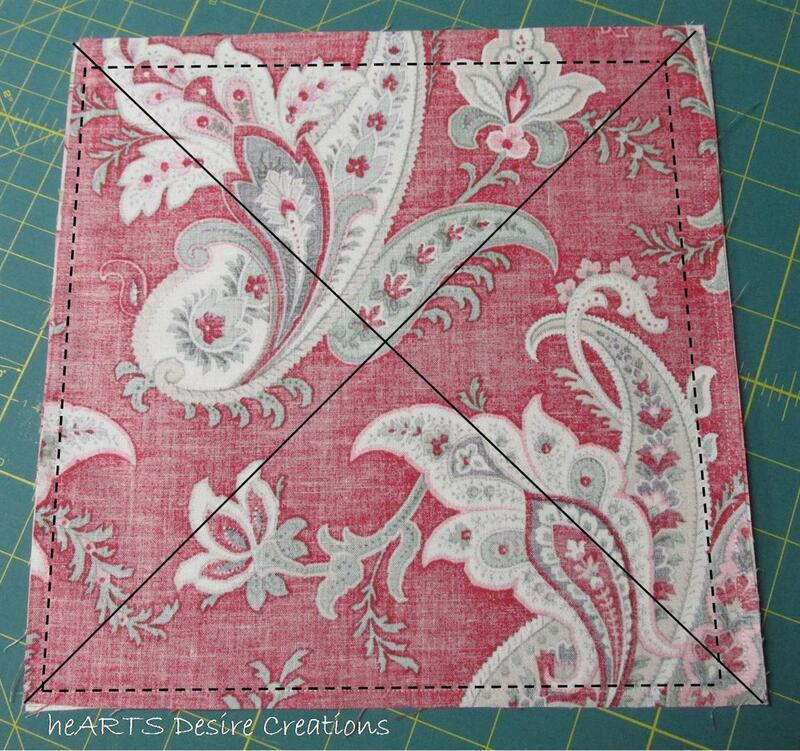 Place right sides together of two different fabrics and sew all the way around. Press. Cut corner to corner. Open up each section and press. (I press all my seams open so my work lays flat with no ridges.) Arrange as a pinwheel and sew. Now it’s time to cut again! I cut 2 inches from the center line – 4 cuts as shown. 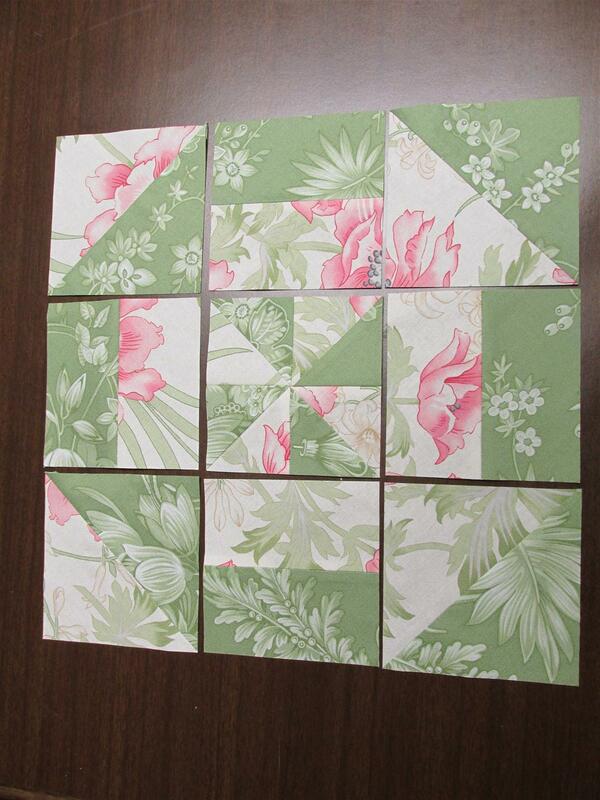 Then rearrange the pieces to look like the finished blocks. Sew together. I then squared mine to 12 inches. Put the blocks together, add borders and you’re done! I very much enjoyed gifting this quilt to my nephew and his wife this past weekend when they were visiting from New York. 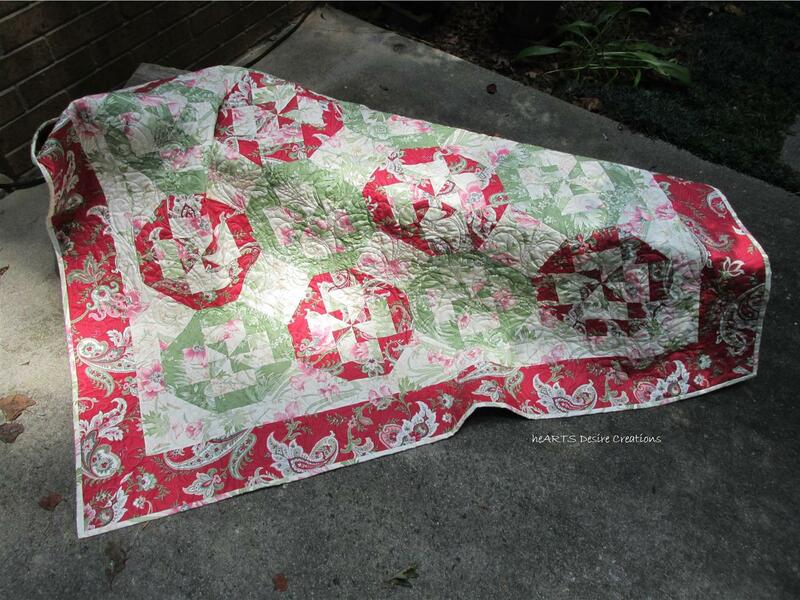 Posted in Art, Fabric, Quilting and tagged challenge, Color, Quilting, Quilts, UFOs. Bookmark the permalink. Hi Joyce. I agree with Jean. Very pretty and it looks like fun.